The Dolphin Slaughter Has Begun In Taiji, Japan. 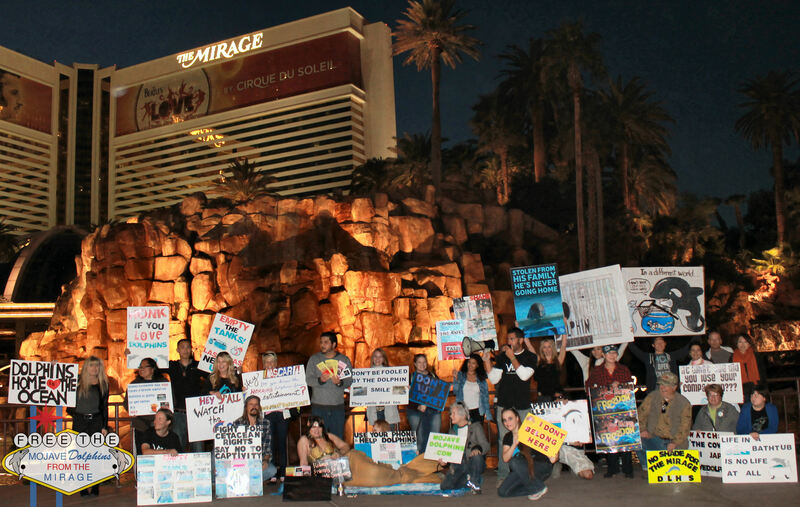 Two days ago, dolphin activists from around the west coast gathered in front of the Mirage volcano to voice their concerns over the continuance of the Taiji dolphin drives in Japan during the global Japan Dolphins Day event. These hunts happen from September 1st through March, with over a thousand dolphins being slaughtered brutally in front of their pod members for their meat each year. The captivity industry is tied to the hunt. 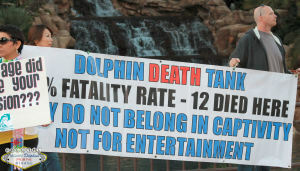 Aquariums around the world visit the killing cove to hand select the dolphins they deem perfect for public display. 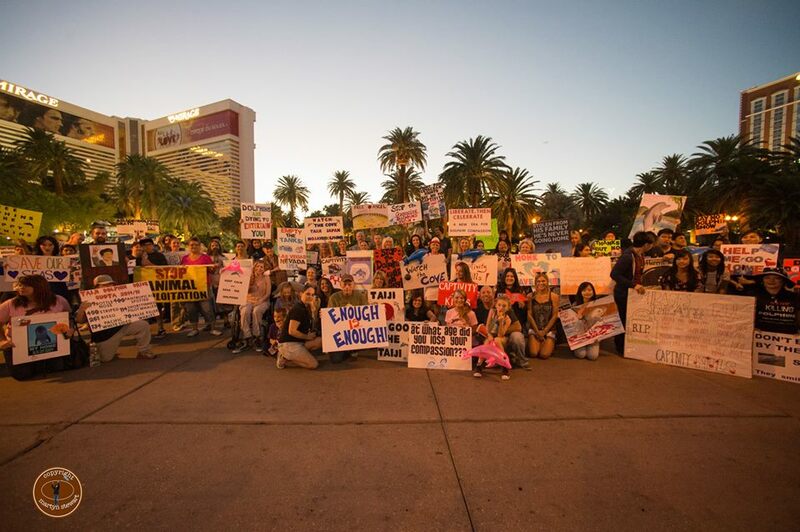 Las Vegas was successful in speaking on the Taiji dolphins behalf, handing out fliers to all the tourists who passed by hoping to catch a glimpse of the volcano eruption. 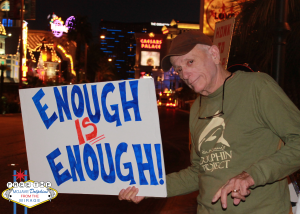 We were shocked when we saw a LED billboard truck going up and down the strip displaying an anti-captivity message about dolphins and the cove. 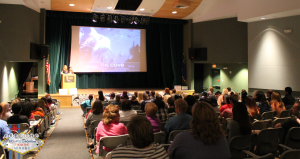 Earlier this year, WAZA (World Associations of Zoos and Aquariums) was being faced with a lawsuit by a coalition of Japanese animal welfare organizations (along with the Dolphin Project and OceanCare) and finally suspended JAZA (Japanese Association of Zoos and Aquariums) for purchasing dolphins coming from the Taiji dolphin drives. JAZA strives to remain part of WAZA for the trade of international animals other than dolphins, so JAZA promised to not source anymore animals from Taiji, and WAZA accepted them back into the family. JAZA accredited facilities are not to be taking any animals from Taiji this season if they wish to stay accredited by WAZA. 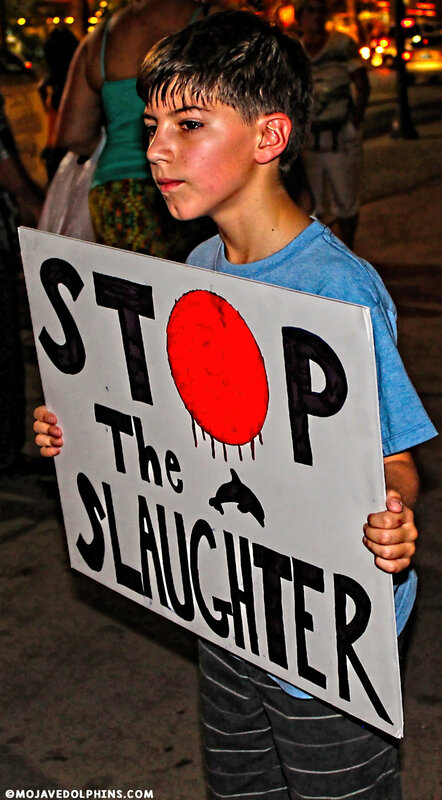 The annual hunt of small cetaceans in Taiji, Japan began today on Sept. 1st 2015. The cove was blue due to storms.The dolphins were able to swim safe and free…..
Ric O’Barry, Founder/Director of Dolphin Project was arrested in the town of Nachikatsuura, a town located in Wakayama Prefecture, Japan at approximately 8:30 p.m. on August 31, 2015 on suspicion of a violation of the Immigration Control and Refugee Recognition Act of Japan. He was reportedly accused of being unable to produce a passport. According to the act, any alien in Japan shall carry on his/her person at all times the passport or provisional landing permit. He is currently being held by Shingu police. Both the U.S. Embassy in Tokyo and the U.S. State Department have been contacted. Please keep the dolphins of Taiji and the Dolphin Project team in your thoughts for the next 180+ days. 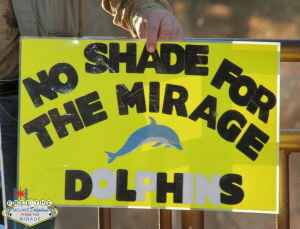 Here are the tweetsheets that were passed around last year to use on those awful days when the cove runs red. 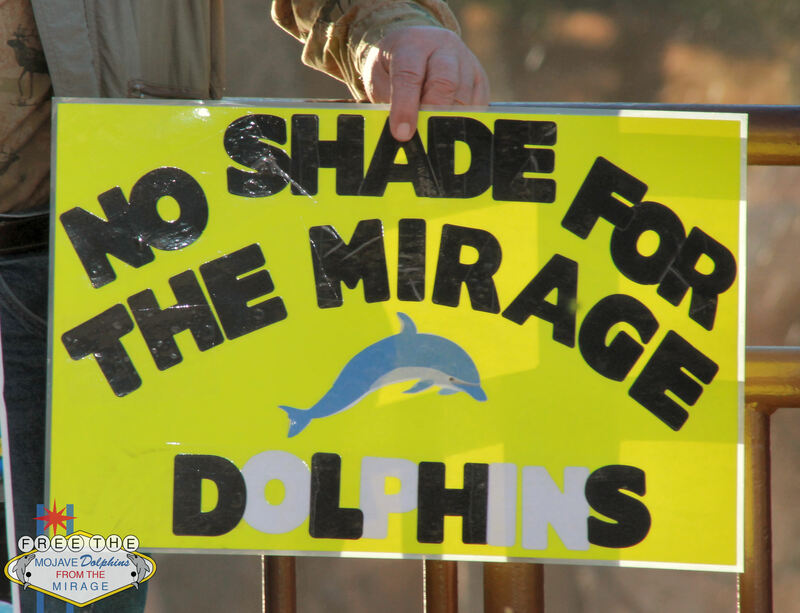 Pod Driven Toward Cove – Use this page when a pod of dolphins is currently being driven towards to the killing cove. Pod Trapped In Cove – Once the killers have netted the dolphins into the cove, start sending out these alerts. Blood in the Water – I can’t even write about this without a heavy feeling in my heart. These tweets let media know that dolphins have now died in the waters of Taiji. Pod Trapped Overnight – Dolphins will be trapped in the killing cove overnight, sometimes for days in a row. This adds even more stress to the dolphins. The dolphins of Taiji are unable to use their voice to help themselves. 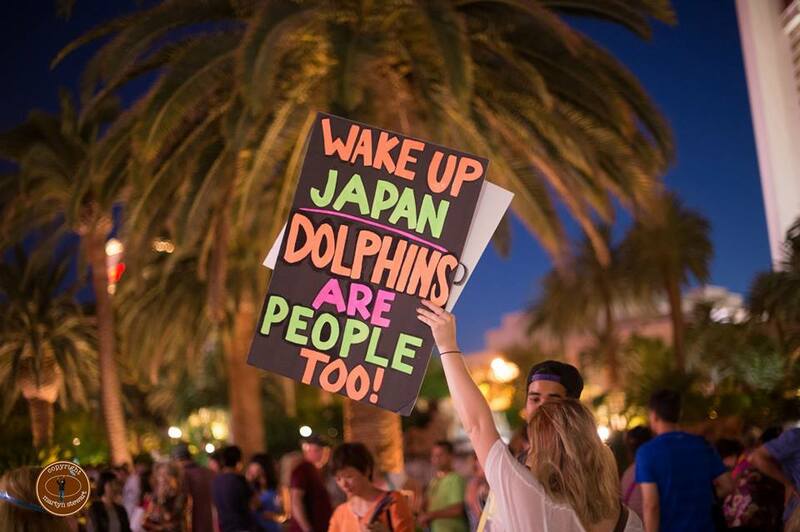 These dolphins do not belong to Japan. They belong to the people of the world. 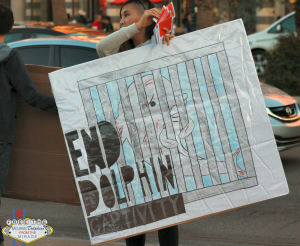 We do not want anymore dolphins to be driven, sold into captivity, or slaughtered for human consumption. 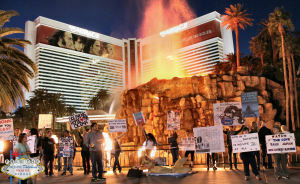 We must take it upon ourselves to educate the people and the media to this inhumane practice. 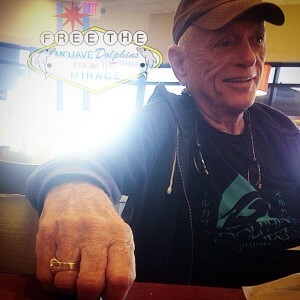 Today, October 14th 2014, Ric O’Barry is celebrating his 75th birthday. 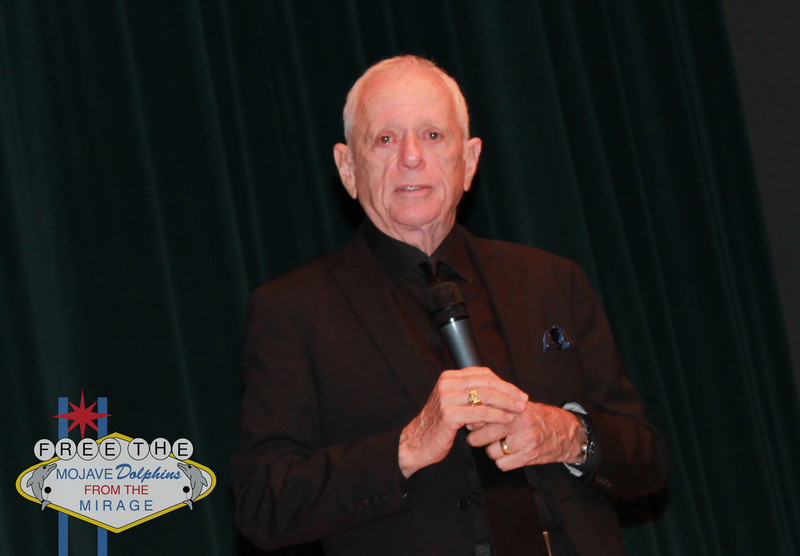 His name first became known in the 1960’s when he captured and trained the dolphins for the first oceanarium in the United States, Miami Seaquarium. On September 19th 1964, he introduced the world to dolphins via a television show called “Flipper“. The show ran until April 15th 1967, and everyone fell in love with the dolphins smile. 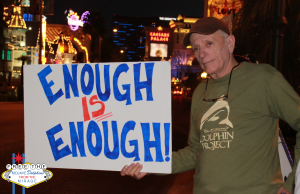 After one of the dolphins who played Kathy died while Ric O’Barry watched, he vowed to change public opinion about the captivity of these sentient beings. 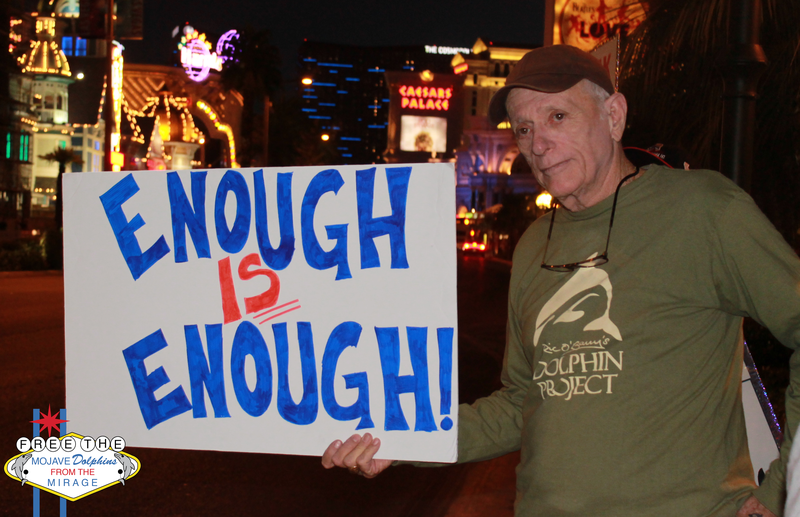 On Earth Day 1970, he founded the Dolphin Project which educates the public about captivity and does what they can to help captive dolphins. Ric has rescued and released over 25 captive dolphins in Haiti, Colombia, Guatemala, Nicaragua, Brazil, the Bahamas, and the United States. 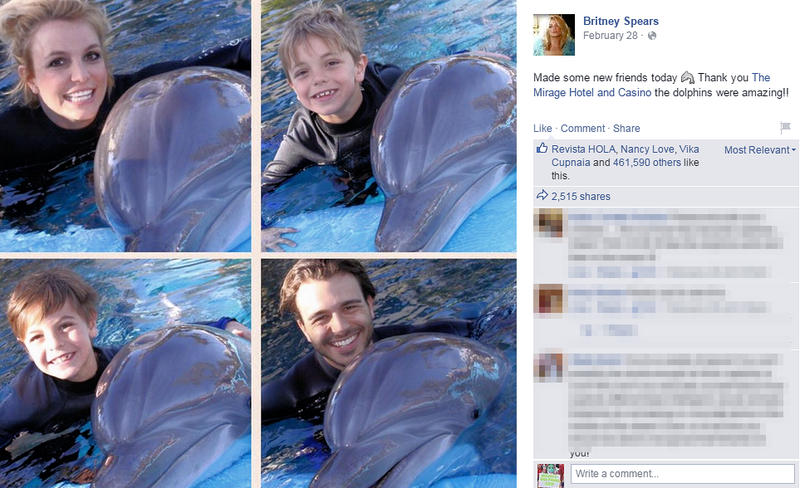 He is the author of 3 books, Behind the Dolphin Smile, To Free a Dolphin, and Die Bucht. In 2009, he was featured in the Academy Award winning documentary “The Cove” about the annual dolphin slaughter in Taiji, Japan. 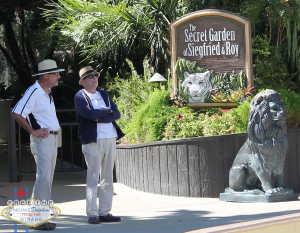 Ric still continues to travel around the world helping dolphins after over 40 years. 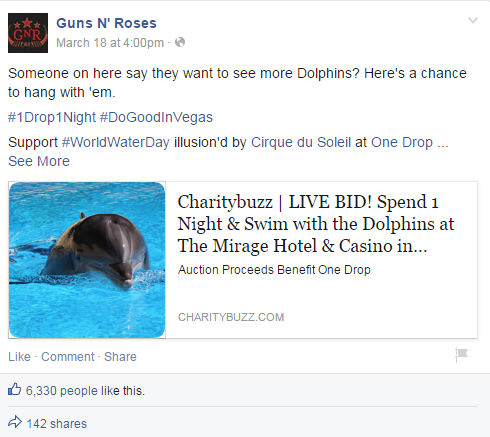 He was just in Las Vegas at the beginning of this month, he was in Taiji in September, and he will be in London in November… and who knows where in between! Wherever a dolphin needs him to be, he goes. 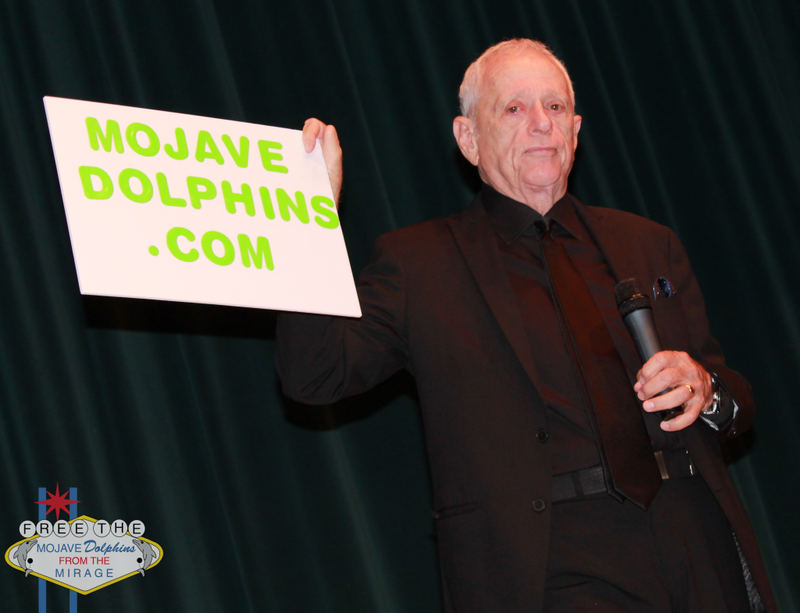 We here at MojaveDolphins.com think that it is time that the activists “born” from Ric’s movement give back to Ric O’Barry and the dolphins. 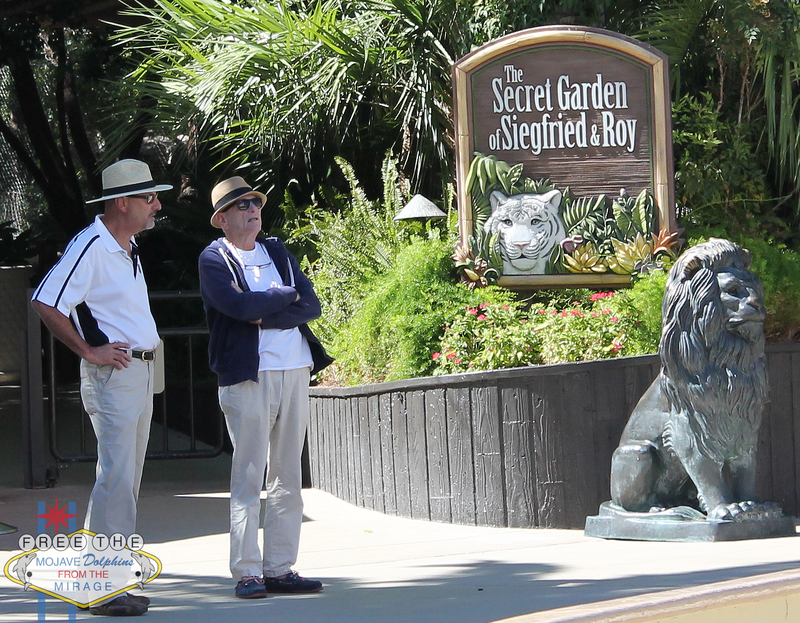 Ric is only one person, and there are hundreds of facilities with thousands of dolphins stored in various conditions and environments worldwide. 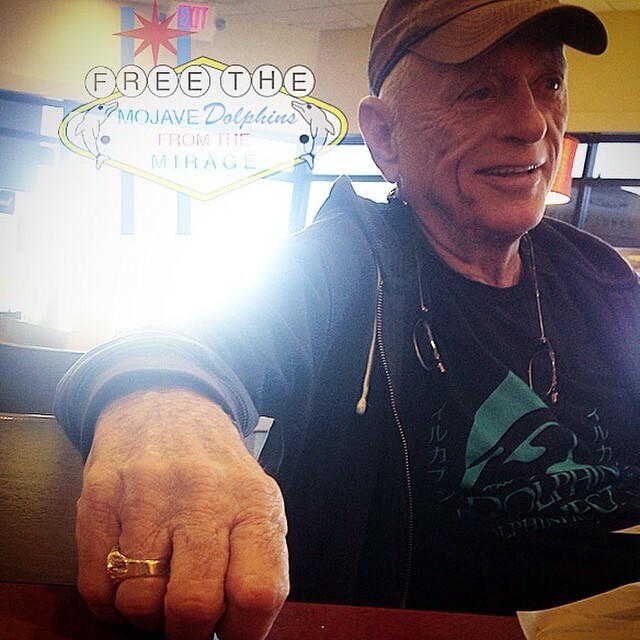 We want you to take this challenge for Ric O’Barry’s birthday. Look up all the dolphinariums that are in your country, and then focus on the ones closest to you. Research about them. How are the dolphins kept? Is it inside or outside? How long has the facility been open? 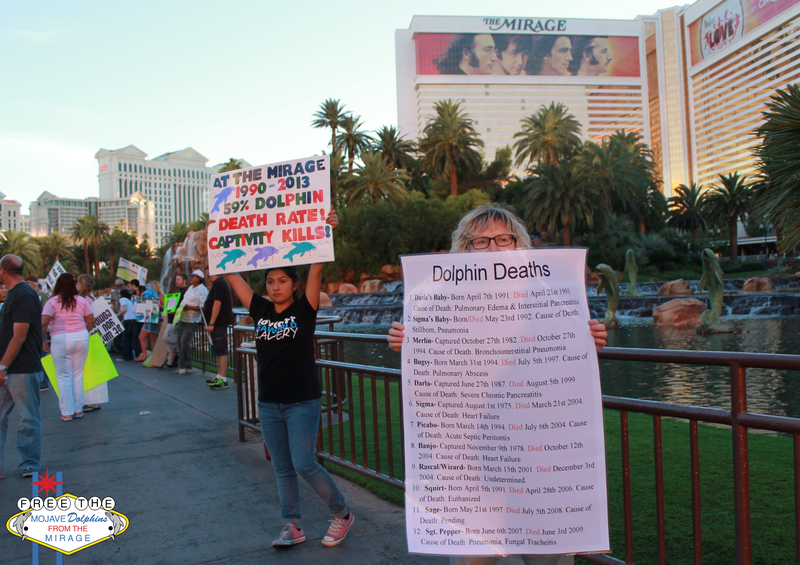 How many dolphins have died vs how many are still alive? Where do the dolphins come from? Is there a movement to bring awareness to them? 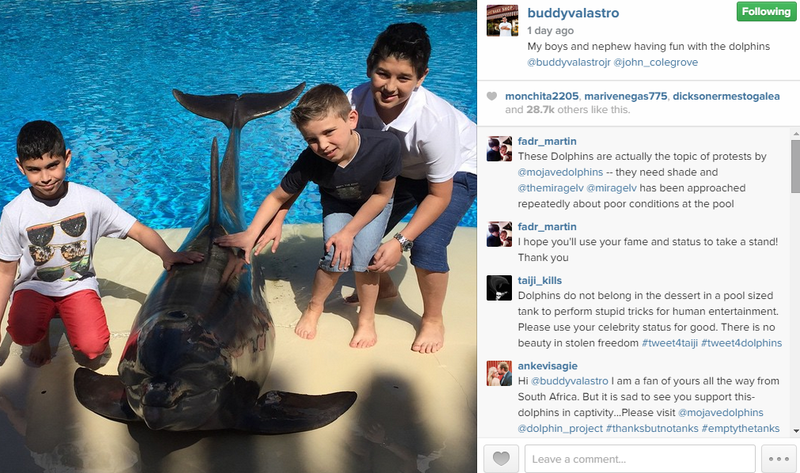 What can you do to help those dolphins? 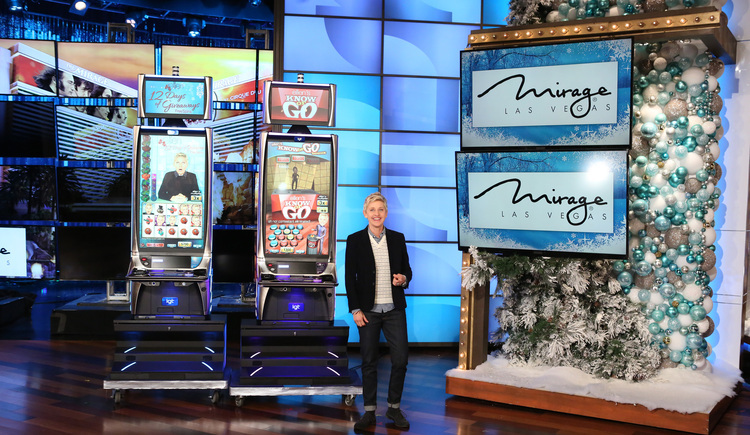 You don’t have to be an expert or someone with plenty of dolphin knowledge to get something started. 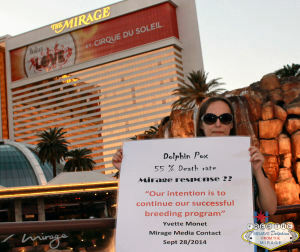 I was 23 years old with no marine biology background when I began getting things going for Mojave Dolphins. All you need is passion and dedication for seeing cetaceans being treated fairly and given the freedom they deserve. You learn as you go, and you meet a lot of beautiful like-minded people along the way. One person can make a difference. Don’t be afraid to be a voice for the voiceless. 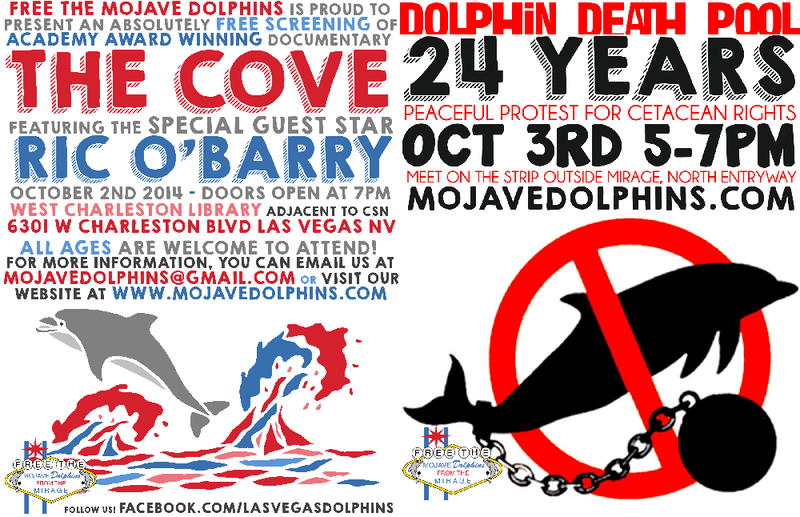 Lets make Ric O’Barry proud by supporting the movements to save the dolphins globally. Your involvement is needed now more than ever.